The New Year is a great time to review strategies and focus on changes to benefit your business. One of the most impactful changes to improve your online presence is to improve your website design. Your website is the most valuable marketing property. It is the first impression potential clients make about your business. 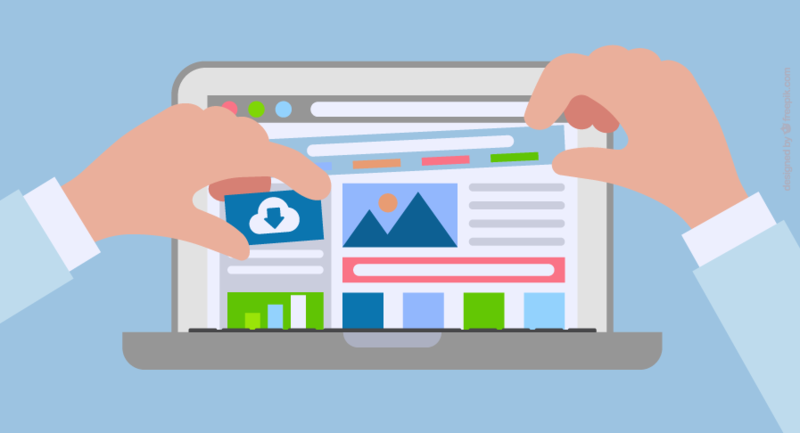 Use your website to showcase your company’s credibility, as a resource to find services or products that clients are looking for, as well as a source of leads through search engines like Google, Bing, and Yahoo. A revamp to your website is a great way to give it a SEO boost that can last for the whole year. Is time to redesign your website? There has been a dramatic change in how customers search to find services or products, due to the use of different devices used for searching. This means that your website is responsible for driving leads and transforming users into customers. Your website is where prospective clients, business partners or even job candidates land to understand your business, capabilities and find answers to their questions. Do you still have Flash elements on your website? If you do, it is time to update your website to other technology. Flash websites are not always compatible with all devices, are slow loading and difficult to update and often crashes browsers. The company behind Flash, Adobe, has announced that it plans to end support for Flash by the end of 2020. One indicator to determine whether your website needs a redesign or not, is to know if the website is doing exactly what was designed to do. Conversion could be used as one of the metrics and depending on your industry and specific customer’s behaviour, could be an online purchase or a good old-fashioned phone call. Before starting the redesign, it’s better to identify what your website should be doing that a website redesign can fix. If you still need help to figure out your needs, AU Digital can help you through that process. To keep the website running safely and smoothly, it is essential to maintain your Content Management System by scheduling regular website backups, update plugins and software, and monitor security and performance. If you don’t know where to start, AU Digital has support and maintenance packages to fit your needs. It is important to keep improving your website on an ongoing basis. Look for ways to improve the customer experience such as adding additional functionality, improving page load speed, reducing large images, or something more specific such as redesigning the home page or navigation to improve the user experience. The New Year is a great time to think about redesigning your website by analyzing last year’s performance to see what can be improved to increase conversions. Are you ready to give your website a boost? Contact AU Digital to help make your website perform better.